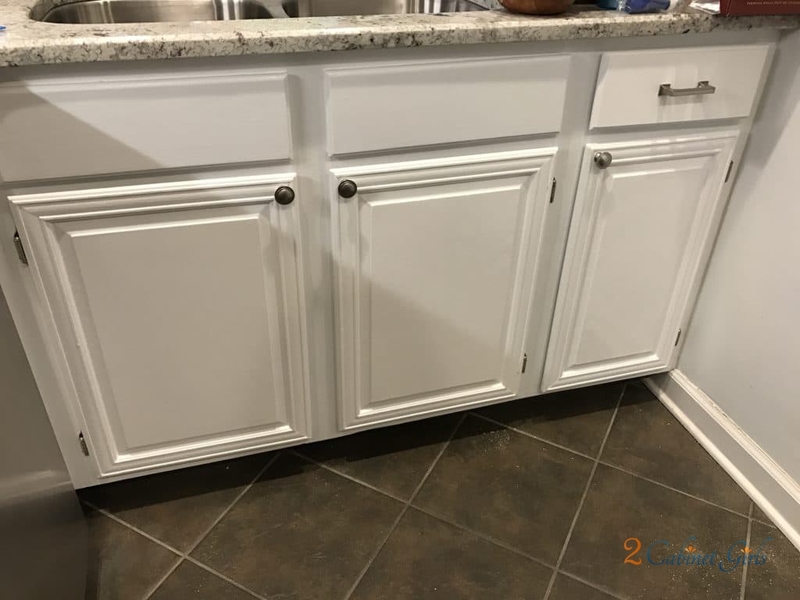 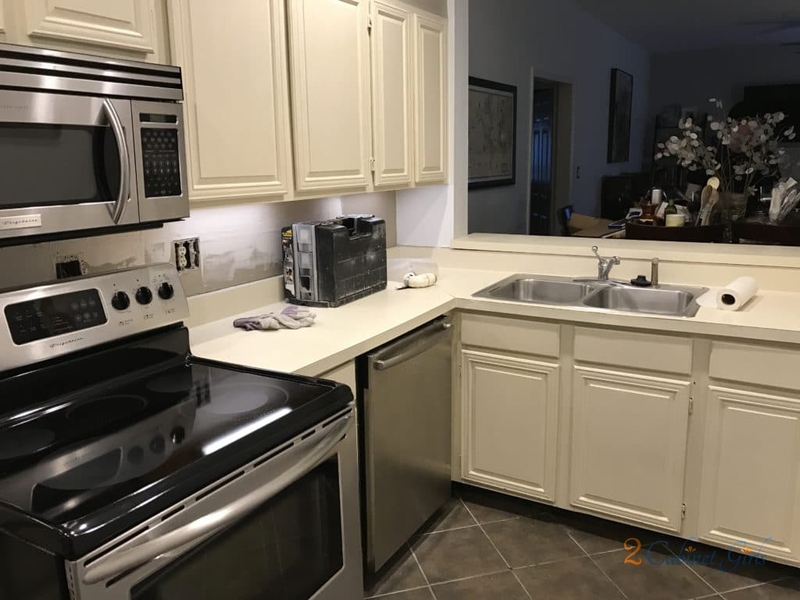 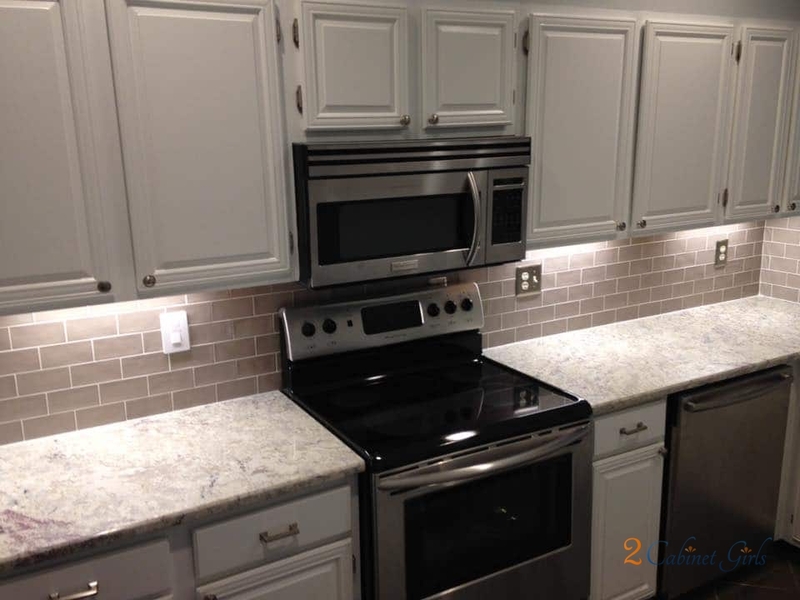 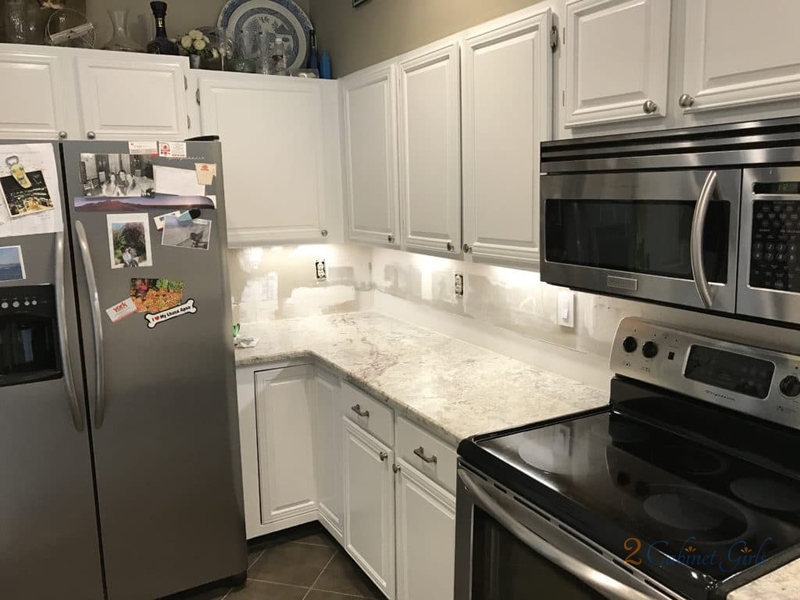 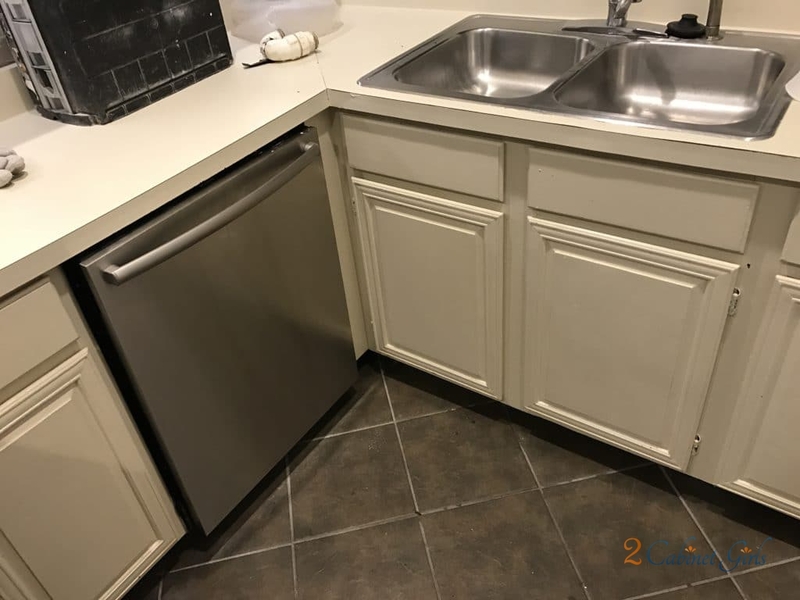 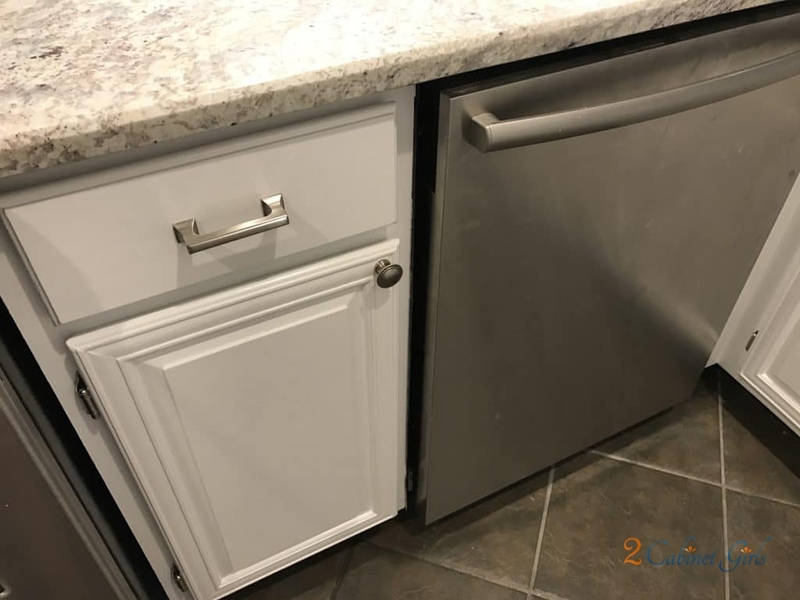 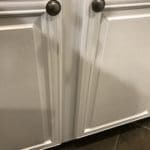 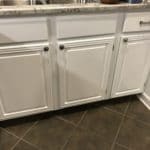 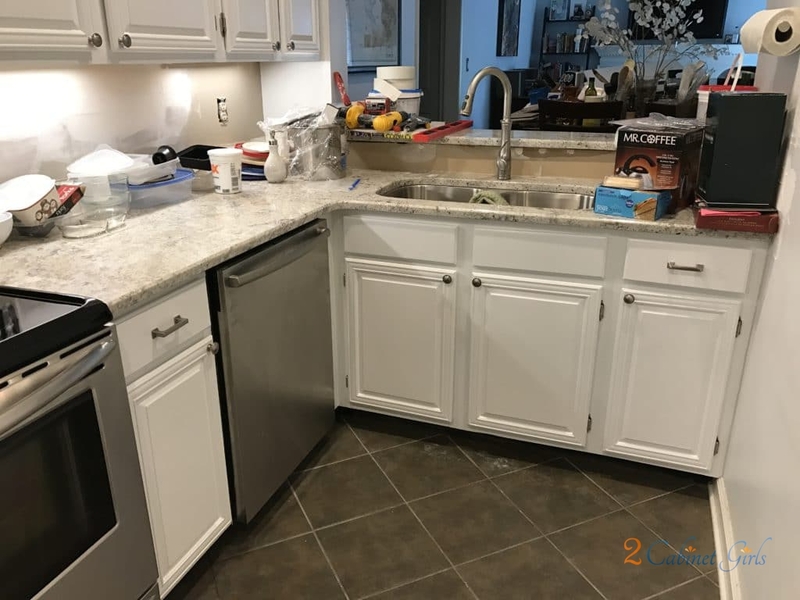 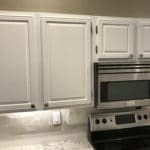 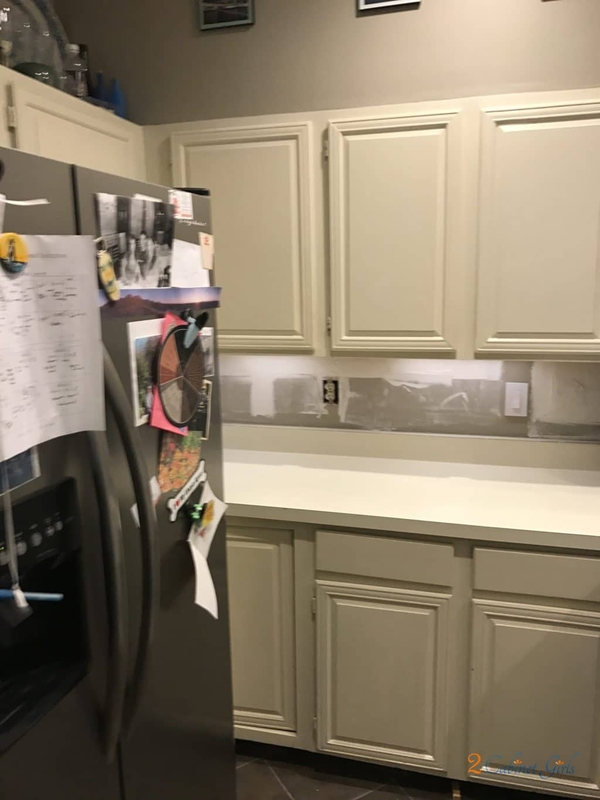 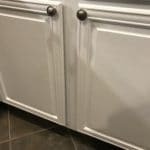 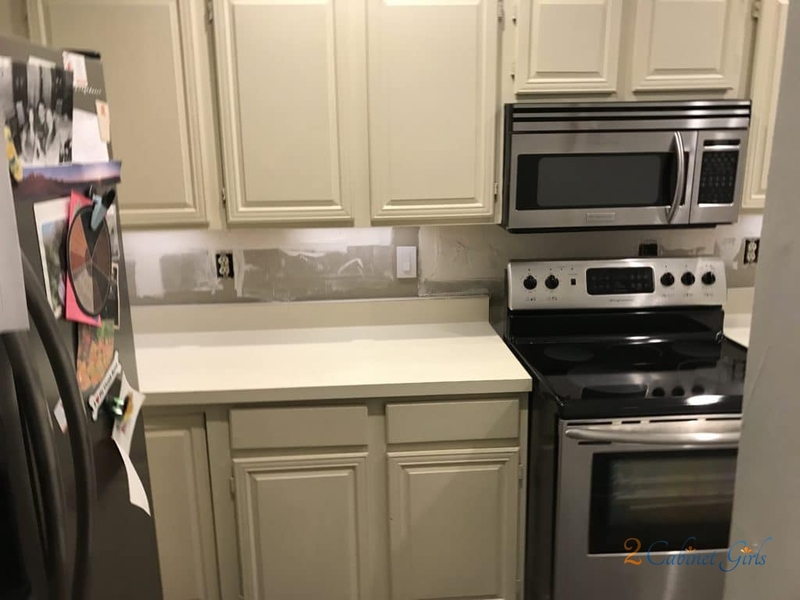 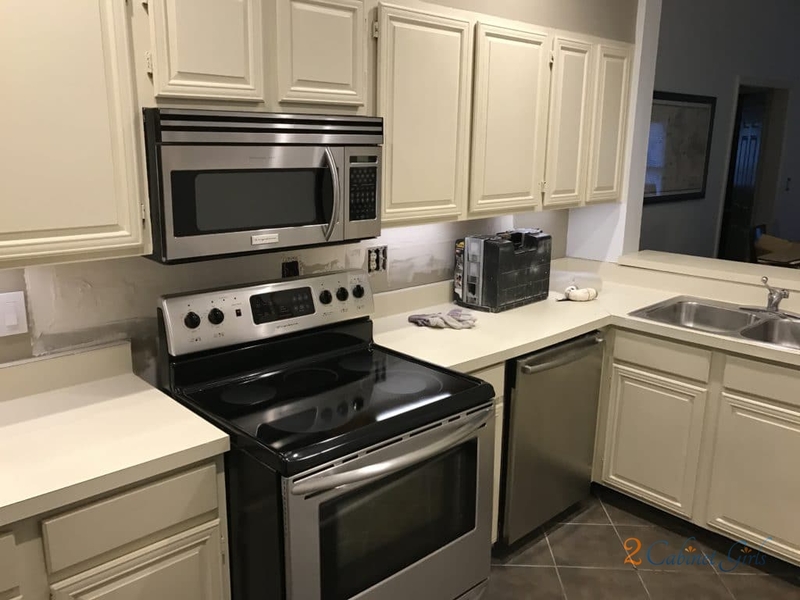 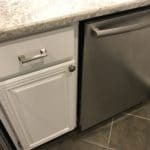 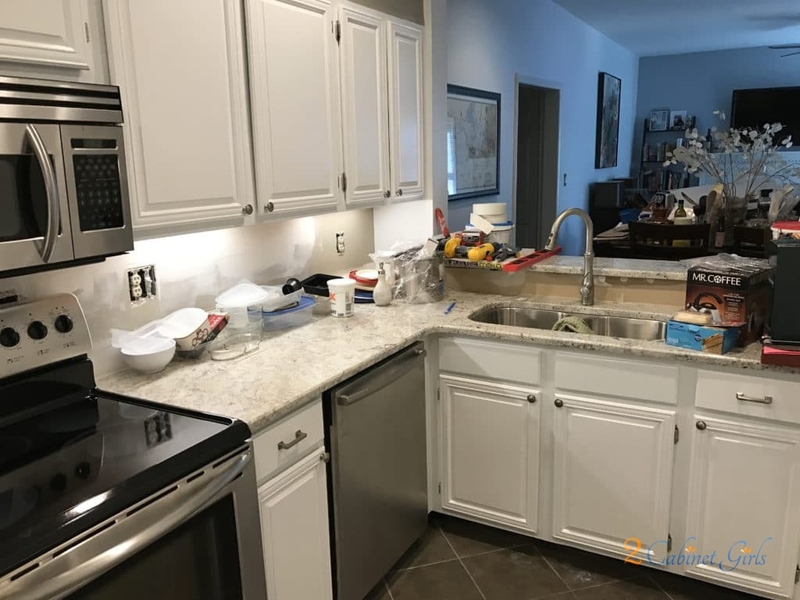 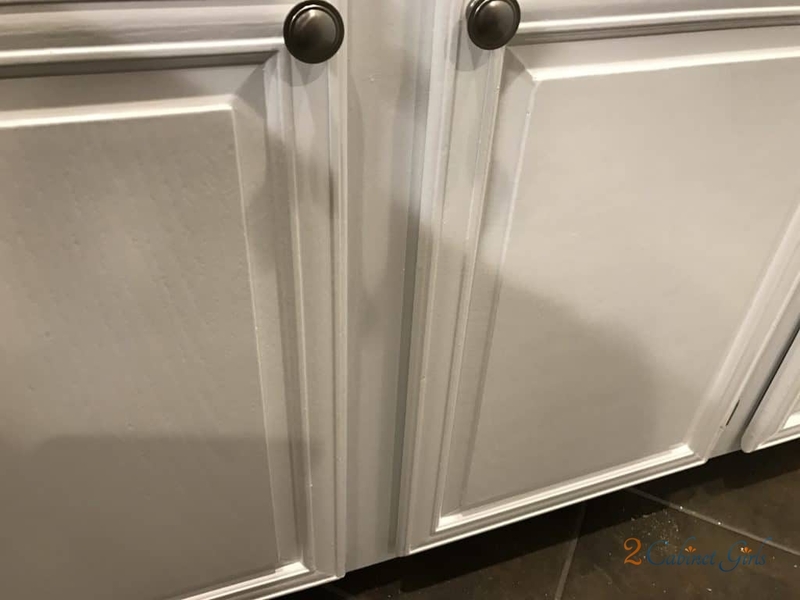 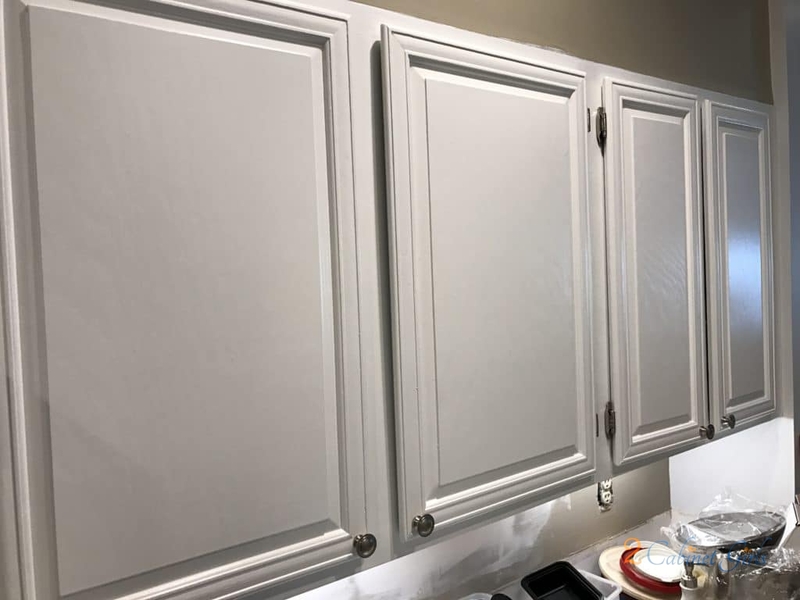 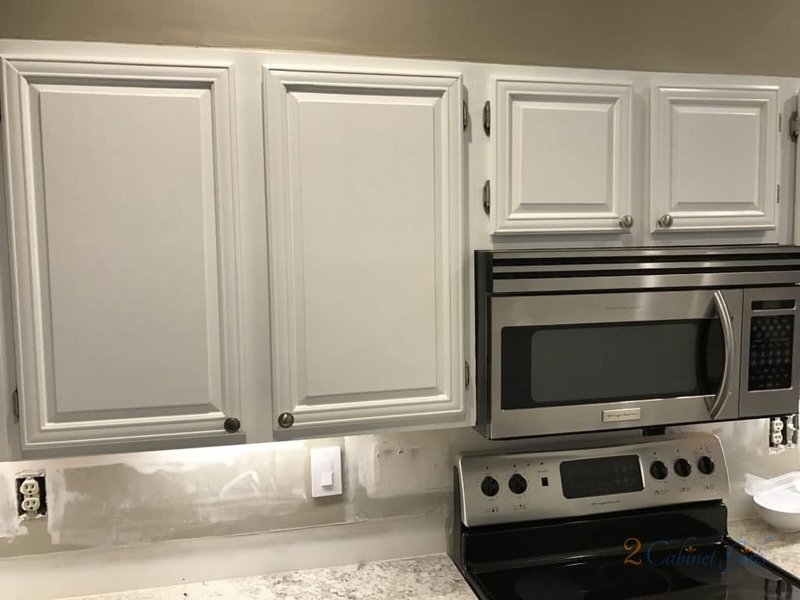 These cabinets had been previously painted and not only were they chipping and full of old drip marks, but the hinges had been painted as well and they didn’t operate properly anymore. 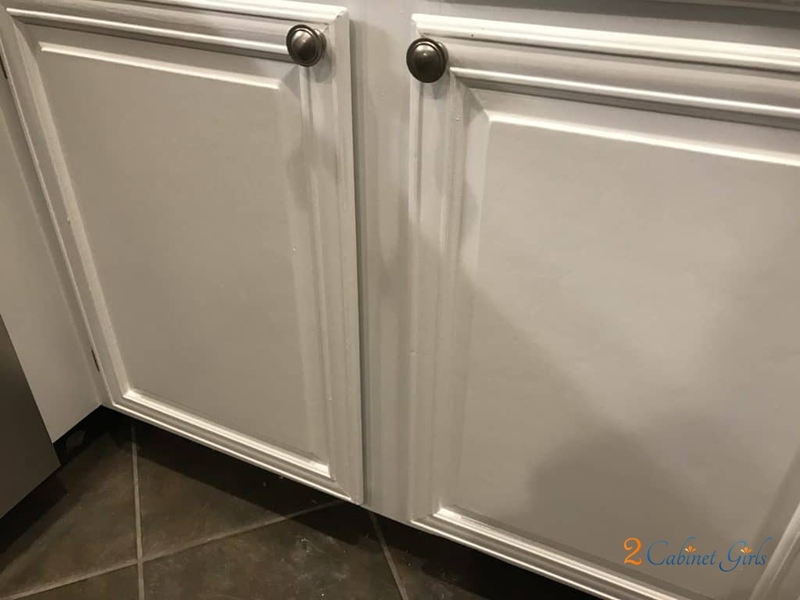 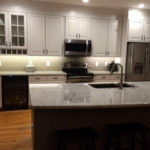 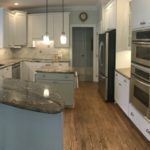 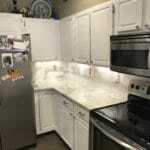 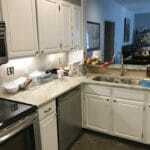 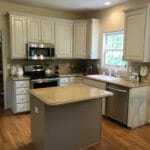 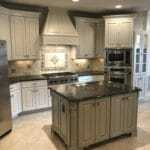 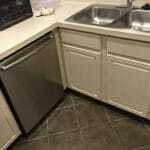 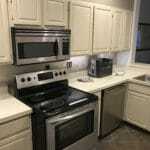 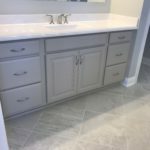 We smoothed out all the old paint and updated them with a sleek, and much brighter, white that had a hint of gray in it. 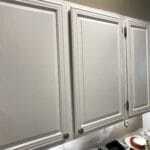 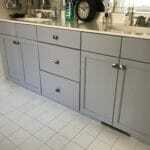 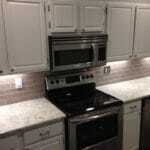 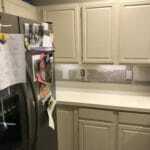 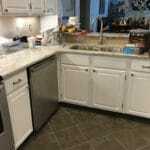 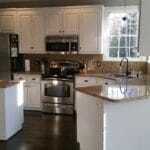 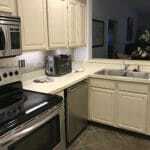 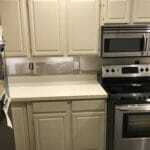 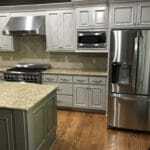 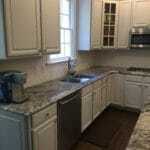 No more yellowy, dingy cabinets!